Fresh breath, white teeth, a straight smile…we all want it, and we want it all. There's no reason that you and everyone in your family can't enjoy a strong, healthy, vibrant smile throughout your lifetime. 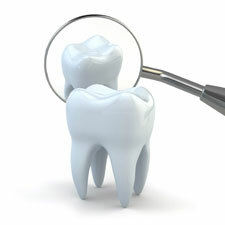 Dr. Kalina and our team will make caring for your smile easy and enjoyable. Our office team will welcome you, answer your questions, and make you feel right at home. In the dental chair, you can relax during procedures and enjoy music or television with personal headphones. For your comfort, Dr. Kalina may administer nitrous oxide, better known as laughing gas. If we can do anything to make your experience more rewarding, don’t hesitate to ask. Read about our services here, then call to reserve your visit with Dr. Kalina in Mankato today! Click on a topic to learn more. New Patients click here to find out more. Call our Mankato dental office today to schedule a new patient exam, cosmetic consultation, or second-opinion visit with Dr. James Kalina. Conveniently located in Mankato, our office serves patients throughout Southern Minnesota.